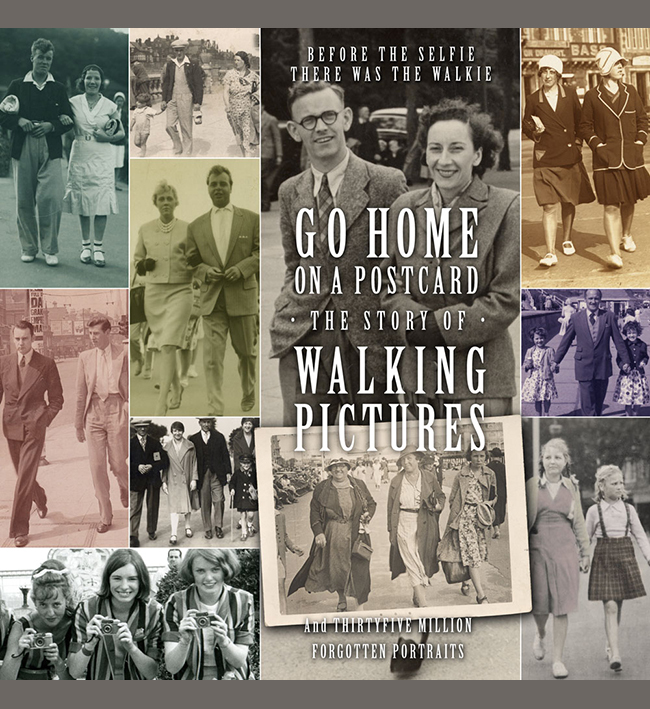 My interest in walking pictures came from a love of found photographs, abandoned snaps turned up at fairs and junk shops. This seems as good a place as any to feature some of these! I’m not sure if this is a photo booth strip, an early Polyphoto sequence or just frames from a studio contact sheet. Quite what the young woman is having the pictures taken for we can only guess, it might be some kind of pose for theatrical or advertising use, taken in the twenties by the look of it. But it looks like she’s having fun! A small snap, taken on an unknown beach in the Twenties. The young girl in her swimming costume is practising some sort of acrobatic turn, her mother looking on from the hired deckchair. The shadow in the foreground is that of the cameraman.